Just outside of Vancouver lies Richmond, where some of the best Asian food in North America can be found. Tom Shingler takes a tour of the city’s incredible – yet still underrated – food scene. The west coast of Canada is, quite frankly, a foodie paradise. Below soaring, jagged mountains and between vast forests that stretch as far as the eye can see are world-class restaurants, hardworking artisan producers and some seriously innovative bars. And that’s even before we get to the amazing seafood from the province’s winding coastline. Vancouver is undoubtedly the main hub for anyone looking to fill their foodie boots, but one of B.C.’s best-kept secrets is just a twenty-minute drive from the beautiful city. Richmond might get overshadowed by the towering glass skyscrapers and green parks of Vancouver, but it is home to some of the best Asian food outside of Asia. Just a walk along one of Richmond’s streets will tell you all you need to know – almost all the signs and shopfronts are in Chinese, thanks to the city’s cultural make-up. Over half of the 200,000 people living there are Chinese, and the whole city itself has an immigrant population of sixty percent. So it follows that the food is going to be authentic and, most importantly, very tasty. But why did Richmond become such a magnet for people emigrating from Hong Kong, Taiwan and China? The story goes that it was all about the name – Richmond sounds a little bit like ‘rich man’, so settling there would surely bring good fortune. Whether this is true or not, the city’s demographics have shaped its food offering, and now gourmands from all over British Columbia visit Richmond for its Asian restaurants. 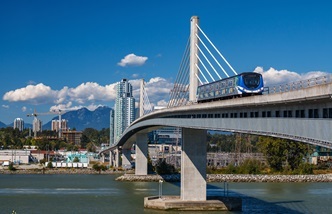 It’s often a first stop for people flying into Vancouver Airport, as Richmond is on the speedy Skytrain line, which runs between the airport and downtown Vancouver. Richmond is the kind of place you want to do a bit of research on before you visit – perhaps the reason why it’s still a bit of a hidden gem is because it can be a bit intimidating. There’s no real centre where all of the restaurants can be found, and with so many (all of which look relatively similar) it can be hard to tell the good from the bad. But looks can be deceiving; just because a restaurant looks a little rough and ready, is bolted onto the side of a car wash or is situated in the basement of a supermarket means nothing in Richmond. For a better gauge of how good a restaurant is, look at the queues that usually snake out of the door around lunch and dinnertime. 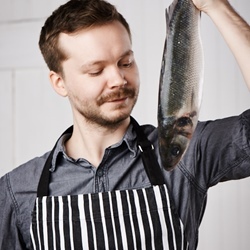 If you’re visiting the area during the summer months, however, there is one place where the best chefs and restaurants of Richmond congregate every weekend. 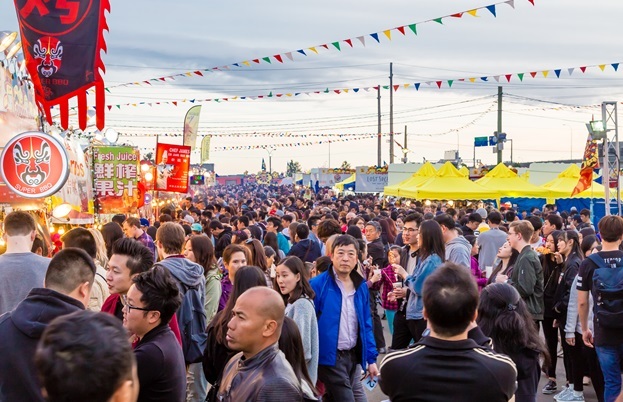 Richmond Night Market has become an institution in the city, with over 30,000 people descending on the site every Friday, Saturday and Sunday evening between May and October. 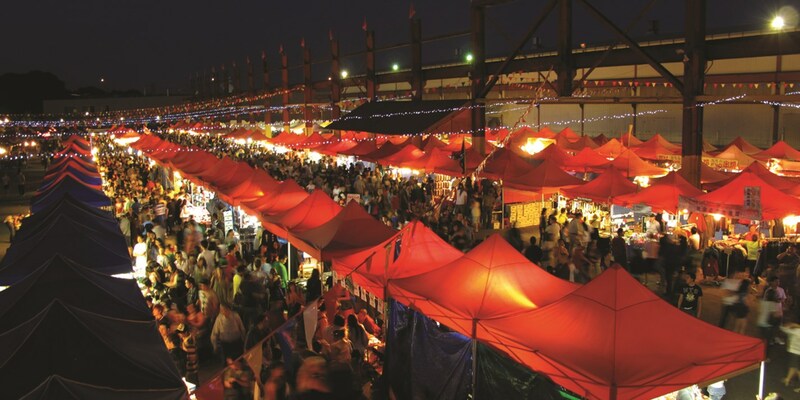 There are over 500 stands selling street food from every corner of the world, although most offer authentic Asian cuisine. You can find anything from well-known favourites such as dim sum and yakitori to the weird and wonderful – including fish-shaped ice cream cones and bubble tea in every flavour imaginable. There’s even a park full of life-size model dinosaurs to walk around once you’ve had your fill, which just adds to the experience. Within the city itself, however, there are certain places that are always packed out and consistently serve up some of the best Asian food in Canada. While some are better than others, it’s actually quite hard to find a bad meal in Richmond – with over 800 restaurants competition is fierce, which means any business offering subpar food won’t last long. As with most of the restaurants in Richmond, the best tend to be in places you’d least expect. In the UK, food courts are usually pretty lacking in gastronomic excellence, bringing together uninteresting chain restaurants under one roof instead. 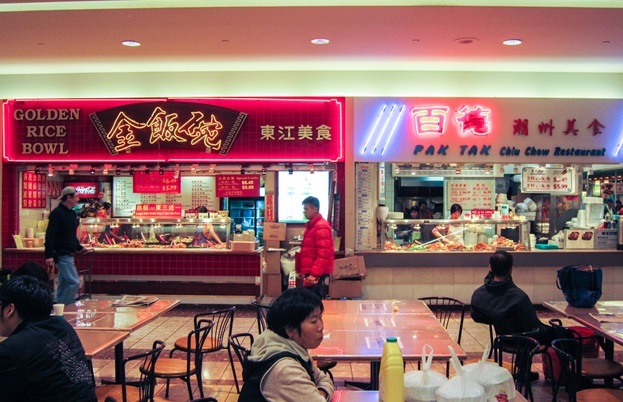 In Richmond, however, the food courts inside shopping malls are home to some of the best value for money Asian street food stands, restaurants and cafés in the city. While the stalls or restaurants themselves might look a little shabby, they’re often family-owned businesses that have been producing homely Asian dishes for generations. Places like Empire Centre, Lansdowne Centre, Richmond Public Market and Parker Place Mall are full of fascinating shops selling all sorts of strange things, but many people visit them just for the food. It could be for the hand-pulled noodles from Xi-An Cuisine at Richmond Public Market, the Chinese egg dumplings from Shanghai Station in Empire Centre or spicy cucumber from Joy’s Taiwanese Kitchen in Parker Place. 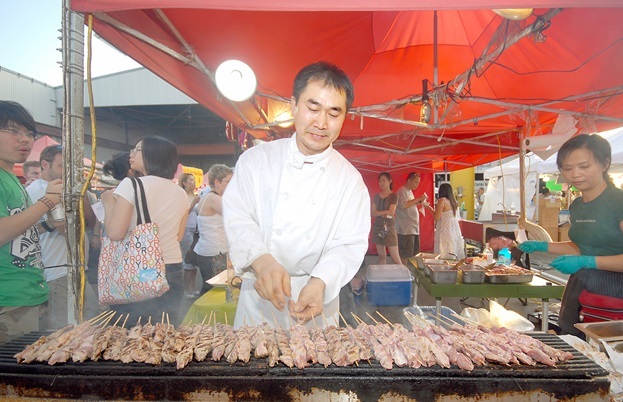 There are usually at least fifteen different stands in any one food court, and each one tends to specialise in a certain cuisine or even just a single dish. They also happen to be incredible cheap, which makes tasting your way around a few of them easy and affordable. 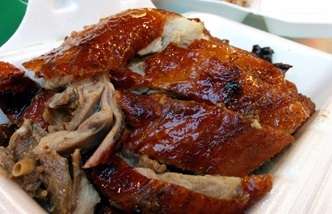 Food courts offer speedy, low-priced dishes very similar to what you’d find on the streets of China, but there’s still plenty on offer in Richmond if you’re after a traditional restaurant setting. Many of the city’s best restaurants are along No. 3 Road, which cuts right through the centre of Richmond – you just have to know where to look. HK BBQ Master serves some of the best Chinese barbecue on the west coast of Canada, but to find it you have to enter the basement of a supermarket called the Canadian Superstore (just look out for a queue of hungry people). They tend to sell out by 5pm every day, so get there early. Another venue on No. 3 Road that’s always in high demand is Szechuan Delicious, specialising in the numbing, fiery flavours of Sichuan province. Water-boiled fish, dan dan noodles and mapo tofu are among the most popular dishes – just be prepared for a no-holds-barred approach to the amount of chilli! If you’re after an all-out Cantonese banquet, then Empire Seafood is the place to go – with dim sum in the day and more extravagant multi-course menus in the evening, it’s the perfect restaurant to celebrate something special. It’s not just Chinese food that Richmond does well – almost every Asian cuisine is represented. 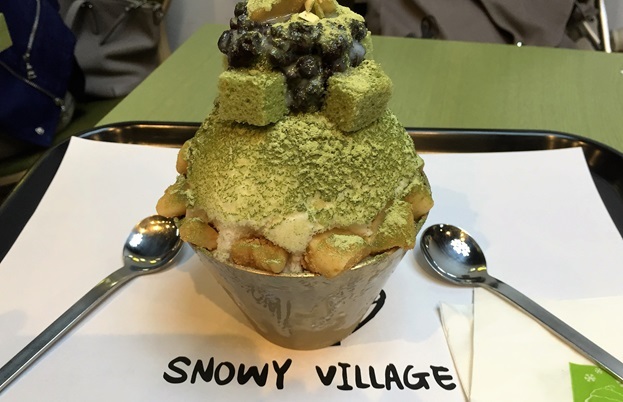 The triple-fried spring rolls and Vietnamese coffee at Pho Lan, one of the city’s oldest Vietnamese restaurants, is a must-visit, as is Snowy Village, a café that specialises in bingsoo, a Korean shaved ice dessert. These gargantuan bowls of milk sorbet, fresh fruits and syrup can be customised in every which way – and they look fantastic. 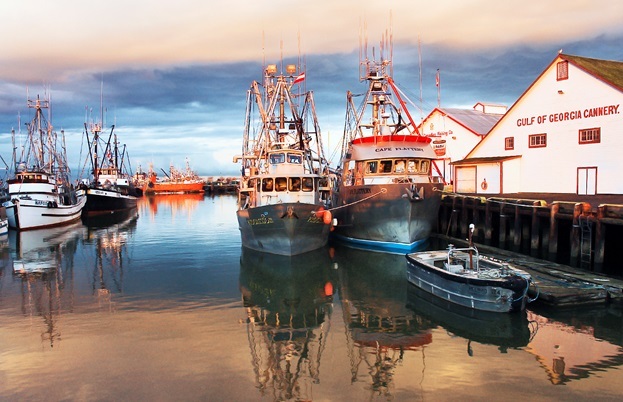 Of course, there’s much more to Richmond than its Asian food scene – the city’s coastline is where you’ll find some of the freshest fish in Canada, with historic fishing communities like Steveston continuing to send out small day boats to bring in the catch. 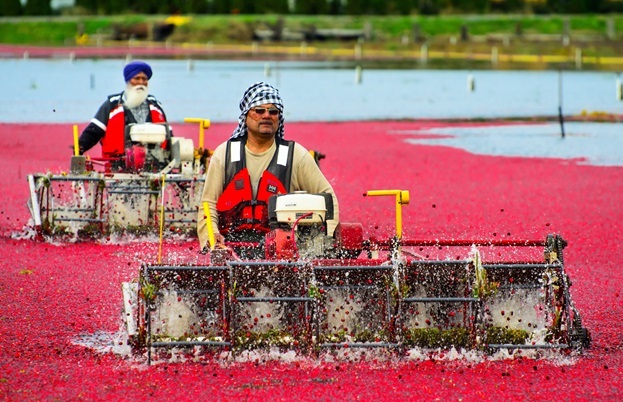 To the east of the city, there’s vast farmland, where flooded fields produce cranberries and farm shops sell amazingly good quality produce direct to the public. But it was the influence of the Chinese and other Asian communities on the restaurants and food stalls that really grabbed my attention. Where else can you find authentic, delicious Asian cuisine made with fantastic Canadian produce? It really is one of Canada’s best-kept foodie secrets – don’t be fooled by the ramshackle appearance some of its restaurants have and you’ll enjoy some of the best meals of your life.